And via Telethon to be held on Thursday, June 30th via the Reef Radio/TV in conjunction with the San Pedro Red Cross. After a devastating fire that occurred after midnight on Pescador Drive on Monday, June 27th, community members have come together to provide relief efforts. Out of 11 buildings destroyed, 8 were businesses, and 3 were family homes. 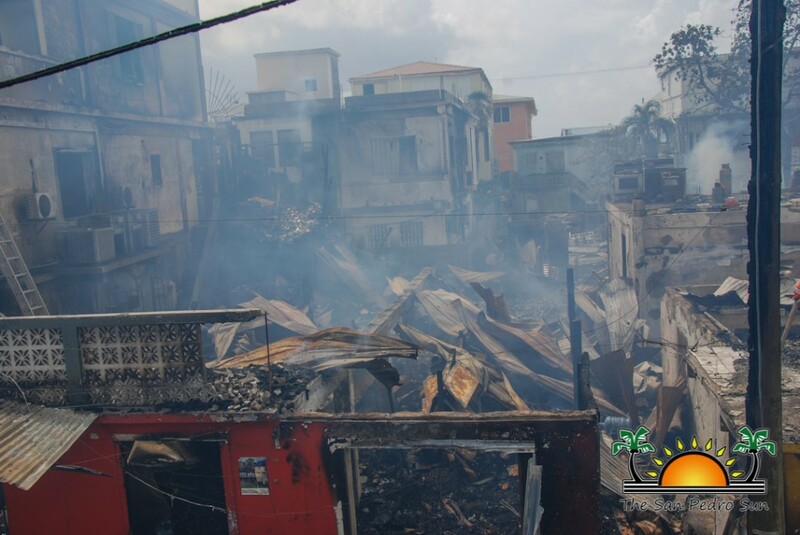 A total of 88 people were affected by the fire, and 68 lost everything. San Pedro Town Mayor Daniel Guerrero emphasized that the main priorities are having enough volunteers to speed the clean-up, accommodations to shelter the victims, food, water, and clothing. The National Emergency Management Organization (NEMO), the San Pedro Town Council (SPTC), along with stakeholders from various Non-government organizations held a briefing at the SPTC conference room to discuss relief efforts for the fire victims. 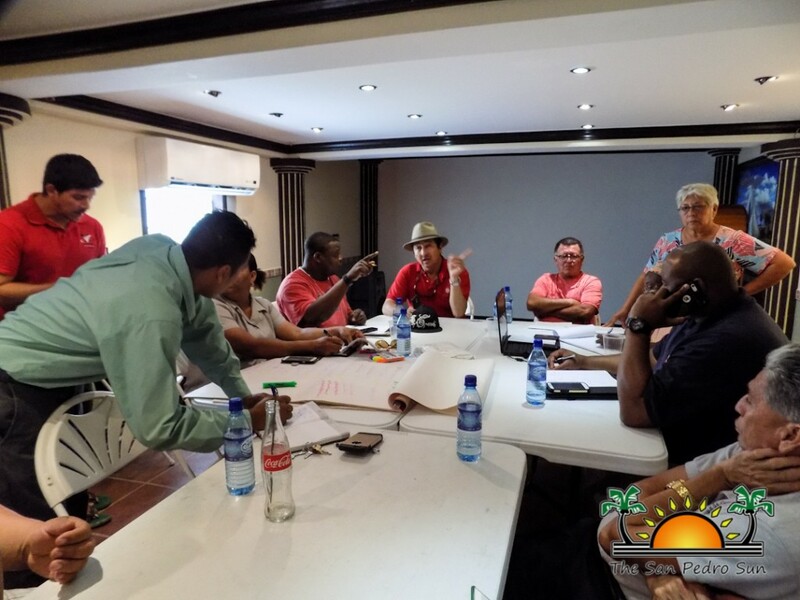 According to Mayor Guerrero, recovery depends on the community. “This is a tragedy, and we need to overcome it just as we have in the past. I know people of San Pedro are hardworking, and I know with the help and ideas of our good people, we will get back on track,” said Mayor Guerrero. 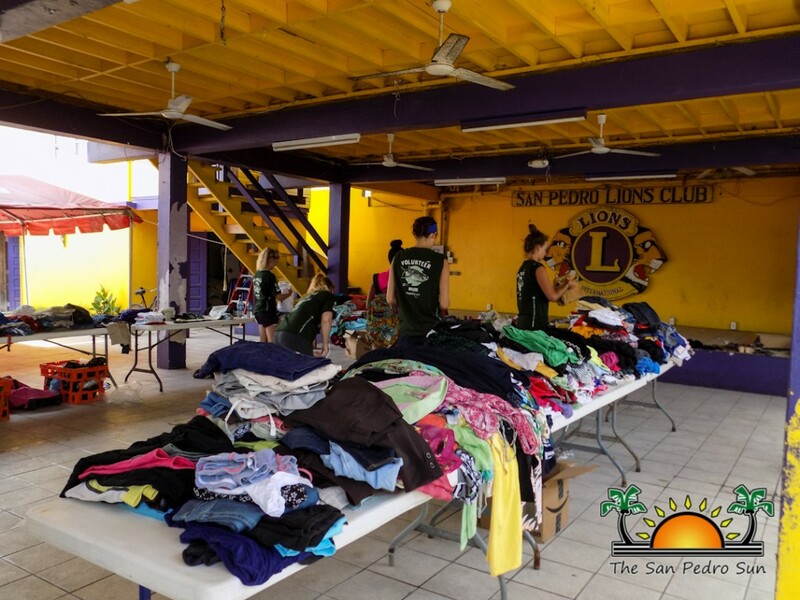 The San Pedro Lions Club is donation central, and they have been actively collecting clothing, footwear, toiletries, and non-perishable food. The Lions Club is fully responsible to accept all cash donations for the relief victims. Mayor Guerrero confirmed that Reef Radio is planning to host an all-day radiothon to collect monetary funds on Thursday, June 30th, and Friday, July 1st. If you wish to donate clothing, footwear, toiletries, personal goods, canned goods, equipment, baby supplies, toys, and feminine products, you may drop off your donations to the following places: Lions Den, San Pedro Roman Catholic School, SPTC, Crazy Canucks, Palapa Bar, Rotary Club of Ambergris Caye, and The Sandbar. Maya Island Air, Caribbean Queen Shipping, and Tropic Air are also on board to help, and will be offering free cargo transport to those who wish to ship their donated items. Saga Humane Society is providing pet shelter, dog or cat food, toys, leashes, and collars. Victims may contact Eileen Jamiso at 600-7450 for more details. The SPTC will be organizing a clean-up for the next three days. 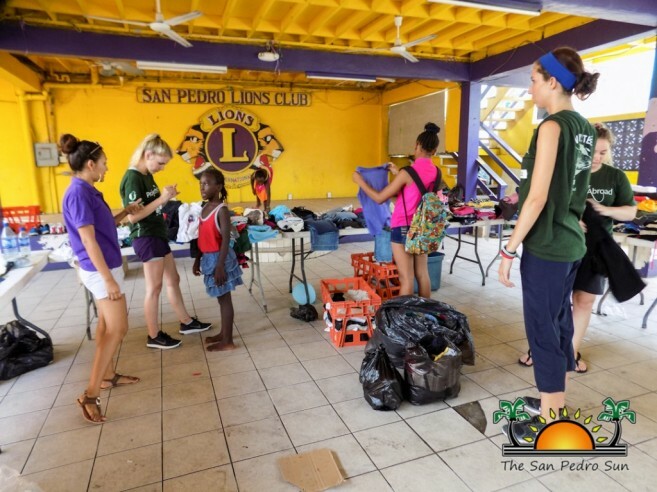 Those willing to volunteer should meet at The Sandbar at Boca del Rio at 7:30AM with gloves, masks, and any equipment (shovel, rake, wheel barrow, etc.) to speed up the process. Over the course of the clean-up, the SPTC will be hosting meals for the fire victims, and volunteer workers at the Town Hall Conference Room. Those affected can stop by during breakfast, lunch hours, and at 8PM. So far, Elvi’s Kitchen, Rojo Bar and Lounge, The Sandbar, Blue Water Grill, El Popular of Orange Walk, and Ramon’s Village has provided food relief assistance. The SPTC advises that anyone who is interested in donating food to drop off warm meals at the conference room.